Known to most as a polarizing figure in Canadian and British Columbian politics, and an outspoken voice in print and radio, Rafe Mair shares with his readers the side to him that is entirely human, relatable, and even loving in his latest memoir, I Remember Horsebuns. Above all, Rafe shares his love affair with Vancouver, British Columbia. Starting his tale in 1931, Rafe tells of exciting areas for kids to explore with minimal interference from parents. It was a time when there were actually streams you could fish in. It was the time of comic books, radio shows, and Saturday afternoon at the movies. Rafe relates the early days when he was forming thoughts on issues like the environment, free speech, and the press. He remembers the McCarthy era that started in Ottawa when a Soviet cipher clerk defected and Russia was no longer our Great Ally. He describes his love of books and writing, and he exposes Trotsky—Trotsky the bear, that is! 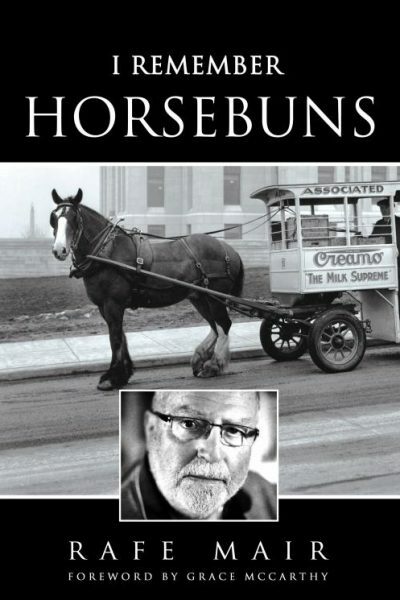 Join Canadian best-selling author, recovering politician and renowned talk show host Rafe Mair as he remembers Vancouver, British Columbia, and Canada… and horse buns. “Anyone who is at all interested in our great city of Vancouver needs to look at the roots of our history, and Rafe Mair has made it happen in this delightful book.” -Red Robinson, Canadian Radio Legend and Pioneer. I would never have guessed this was a memoir by the title, but it tickled my funny bone and I dove into it–and learned lots about that big city to the north, Vancouver, BC, especially at a time when my own parents were young adults. What the author tells use about Vancouver prior to WWII and in the midst of it made me wonder if some of its changes also reflected what happened in Seattle, where my parents grew up. Knowing little about the political climate in Canada (except for the fact they are smarter than the USA in limiting campaigns to months instead of subjecting its citizens to years! ), I now have a better sense of what goes on up north. I’m grateful that I now feel more cognizant of issues that I knew nothing about. This memoir is about growing up in Vancouver, BC, in the 30’s & 40’s. Mair is the same age as my father and it was interesting to read his young boy’s impressions of the time. It is also a history of Vancouver changing over the decades, some good, some bad. Mair is an environmentalist with a love of the natural beauty of British Columbia. The book is also an inside peek at the political climate of Canada, something that most Americans know nothing about except for the handsome new Prime Minister. Take the time to learn about our neighbors up north. 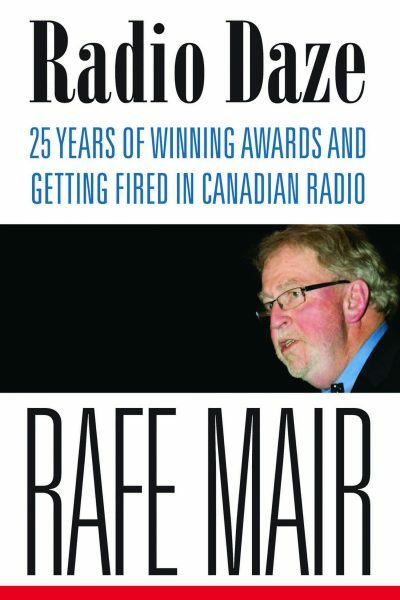 An insightful look into the life of Rafe Mair and Canada from the time before WWII into today.